House cleaning. Sigh. It is necessary, but it is not one of the items on my Favorite Things To Do list. I tend to procrastinate when it comes to beginning a cleaning task. However, while I am cleaning, I realize, “This is not so bad.” After I am done I am happy to see that our home is cleaner and it makes me smile. 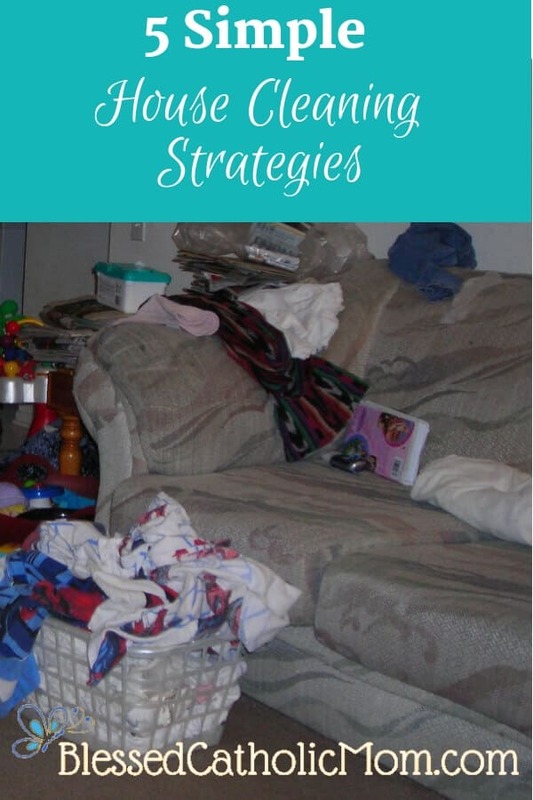 Over the years I have found five simple house cleaning strategies that have made cleaning our home more enjoyable and much easier. 1. Have a mindset of gratitude. Did you expect mindset as number one? For me, this has been the best strategy I have found to make house cleaning effective. I learned this from Flylady. She calls her weekly house cleaning a house blessing. As a family, we are blessing our home by cleaning it and we are blessing ourselves and our family by having a clean home. We are also recognizing and appreciating God’s blessings to us when we take care of them. When I first implemented this mindset as I cleaned, I realized that I actually felt joyful while I cleaned rather than frustrated. 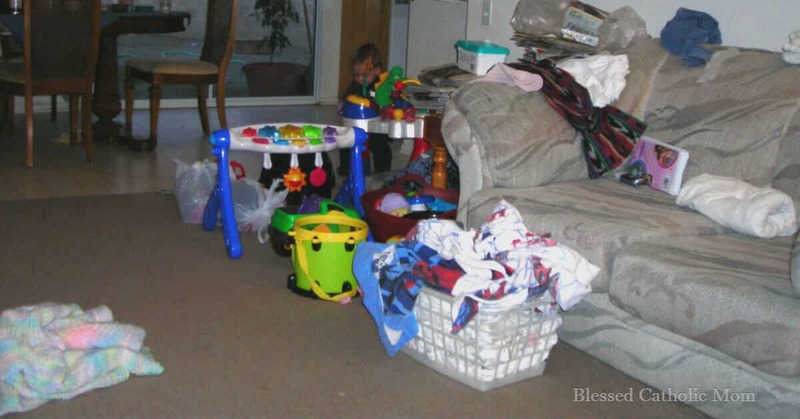 I thought about how, by cleaning, I was blessing my family and myself. The bathroom I was cleaning would be used by our children who were potty training. The kitchen floor I was mopping would be walked on (sometimes before I was finished mopping . . .) by our children in their bare feet. The vacuuming I was doing meant that our crawling baby was going to find less little things to put in her mouth. I thought of my family as I cleaned. A clean home would be a blessing to them. I thought of myself as I cleaned. A clean home would make me feel happy and accomplished. I thought of God as I cleaned. In cleaning our home I show gratitude to God for the gift of our home. When I clean, I am also being a good steward of what He has entrusted to our care. Having a mindset of gratitude and of serving others helps me to find joy in cleaning our home. Does it sound strange to have a plan to clean? After all, when something is dirty, it needs to be cleaned. Why make a plan to clean it? Cleaning is not in the back of my mind throughout the day. 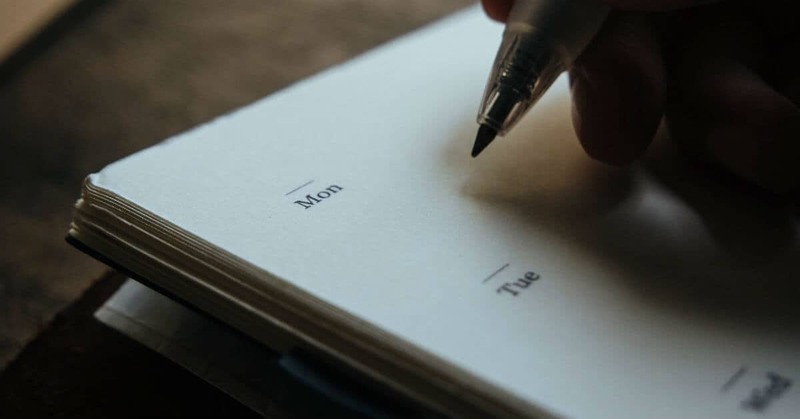 I schedule cleaning into my day and my week rather than forget to do it. Before I had a cleaning schedule, cleaning was always on my mind. Everything bothered me that was messy and cluttered. I felt frustrated and behind. I also felt lazy if I took the time to do something for myself when the house was in need of being taken care of. When I created a plan and a routine to clean our home, cleaning was not on my mind as often, since I knew what would get cleaned and when. When I schedule cleaning, it is more likely to get done. For example, we take care of our dishes from each meal at the end of the meal so they do not pile up in the sink. We sweep the floor after dinner each night and wipe off the table. We vacuum the house every Saturday. Often, if we do not make a plan to get it done, it does not get done. Dividing our home into sections has another benefit: as our kids have got older, they have each been assigned a section of the house to pick up daily and vacuum weekly. The sections we have are porch and entryway, family room, living room/school area, kitchen, and hall and bathroom. Just five minutes or less in each section at the end of each day will do a lot to keep it picked up and looking neater. 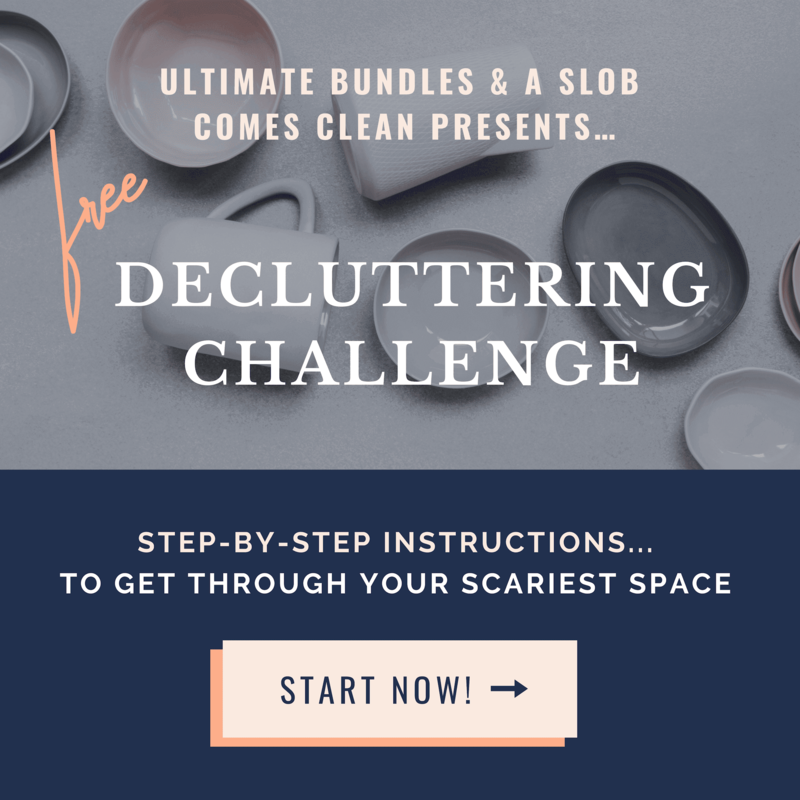 When we want to spend time decluttering or in detailed cleaning, selecting one section of our home at a time breaks the task down into more manageable, bite-sized pieces. 4. Work together as a family. 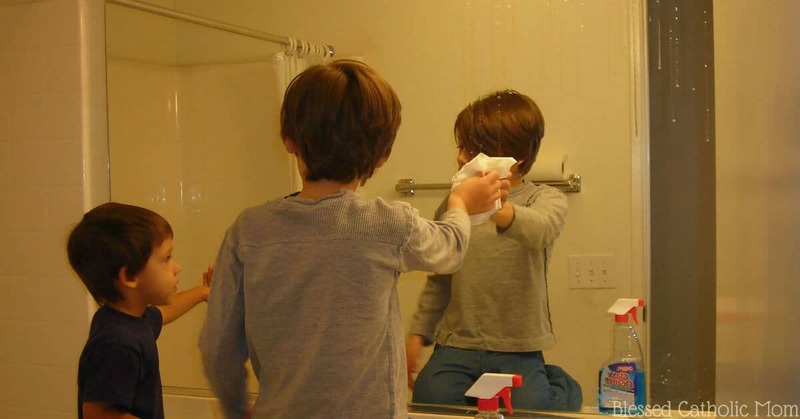 When our kids got older, we implemented a chore schedule for them. Each month one of them helps with laundry, cooking, taking out the trash, washing dishes, and feeding our dog. When the month is over, the schedule rotates and they each have a different chore to help with. Sometimes we will race the timer. We’ll set a timer for five minutes and everyone cleans up their designated area for five minutes. Have a fun activity planned for when our weekend chores have been completed. We could play a game as a family or going on a nature walk. I can be a simple and fun activity. Having something to look forward to can be helpful motivation. If our young children don’t get EVERY spot on the kitchen floor when they are helping to clean it, that is okay, especially when they are excited to show off their efforts. If my son is proudly showing me the section of the kitchen floor he cleaned and all I do is point out the spots he missed, he will be sad and frustrated. He will not be so enthusiastic to help when I ask him again. I need to praise his efforts and know that he is trying his best. Next time he cleans the floor, I can clean beside him and show him how I do it. We can work together and in time he will learn to catch those spots. When we work with our children and teach them, the process of learning is more fun and productive for all of us. 5. Enjoy your neat and clean home. Sometimes it is just one section of our home that is neat or clean at one time. Enjoy it! I have worked to clean and straighten up this area; I need to make the effort to enjoy the fruits of my labors. Instead of looking at what still needs to be done elsewhere in our home and feeling down about what I still have to do, I try to enjoy the areas that are looking great. When I do this I tend to be motivated to keep going rather than feel discouraged when I look at what still needs to be done. Work some each day. Pace yourself and you will get things done. Don’t worry about being perfect and getting EVERY spot on the kitchen floor. Being perfect and being stressed out is not as enjoyable as doing a good job and having time to spend together as a family. Here are posts related to this topic that you may find helpful. Previous Post: « What is my Purpose?